State Street Global Advisors has partnered up with Dorsey, Wright & Associates, a Nasdaq company, to launch a fixed-income exchange traded fund that implements a relative strength indexing methodology to focus on debt securities with strong forward momentum. 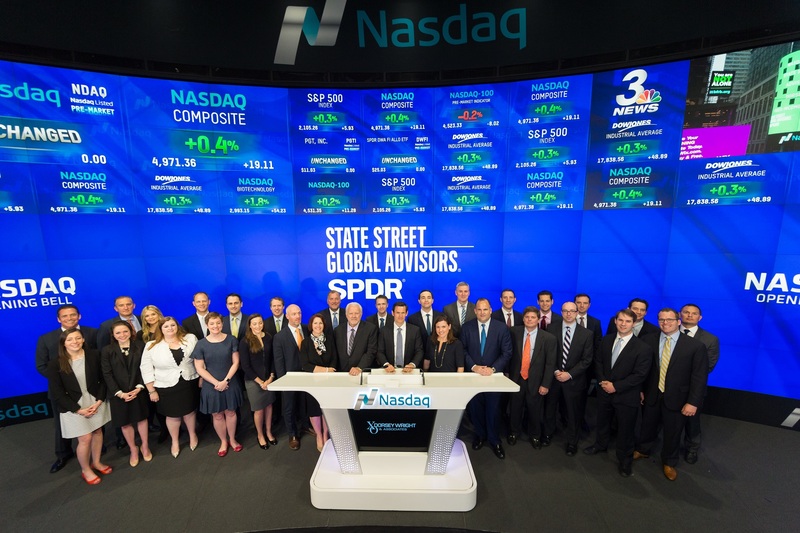 To commemorate the recently launched SPDR Dorsey Wright Fixed Income Allocation ETF (NasdaqGM: DWFI), SSGA rang the Nasdaq stock market opening bell Friday. DWFI tries to reflect the performance of the Dorsey Wright Fixed Income Allocation Index, which includes a handful of U.S.-listed fixed income SPDR ETFs that exhibit the greatest potential to outperform the other bond SPDR ETFs. DWFI has a 0.60% expense ratio. Relative strength is a momentum investing technique that compares the performance of a security to that of the overall market and selects those that are the strongest performers. The momentum strategy basically bets that hot movers will continue to rise, so investors would essentially be buying high and selling even higher.